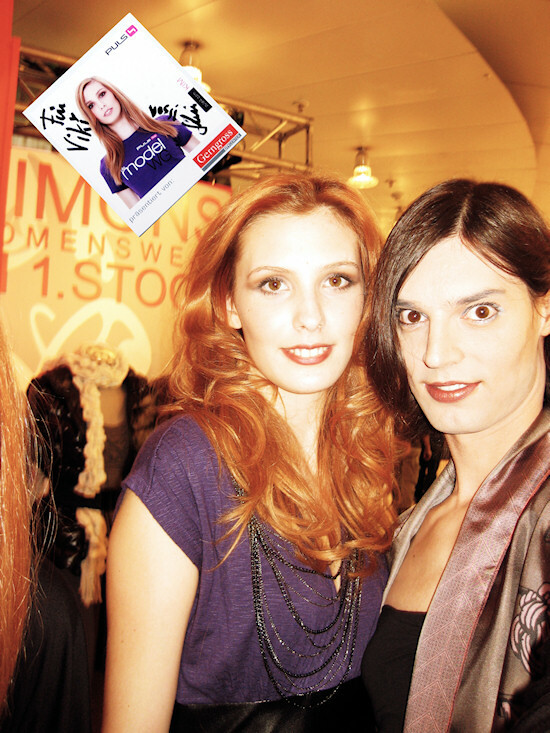 Hi, I managed to get an autograph of Kim Tiroch, one of my favorite Puls4 TV models. Kim performed at the Gerngross Fashion Show along with Kordula and Tamara. Kim was so brave on TV and despite of the demanding model challenges and the hard competition, she never gave up and tried again when she failed. One virtue that is necessary to become a model. And Kim, definitely did.